Lock your doors, LOCKDOWN is here!! Get your costume ready for the biggest Halloween party on the island! It’s a CarnEVIL party coming your way!! Mark your calendar Friday 26th of October catch DJ LOCKDOWN! 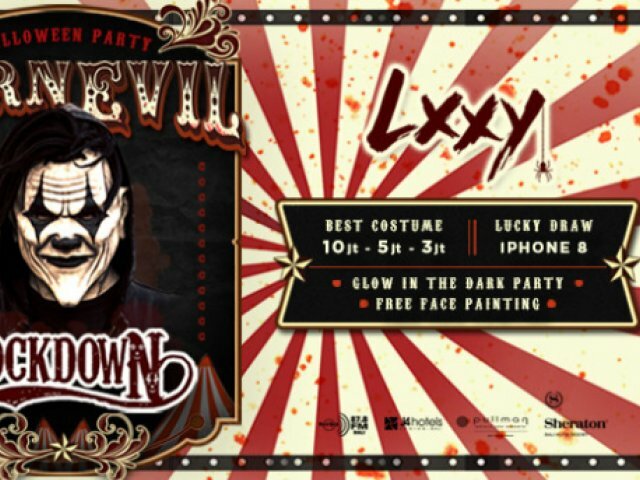 Get spooky with us in glow in the dark party, free face painting and get your chance to win the best costume! and of course the door prize, an IPhone 8!!! Contact us at +62 82117371426 or info@lxxybali.com for RSVP and for more information about our bottle packages.